Creating beautiful nopCommerce stores that works great has never been easier! 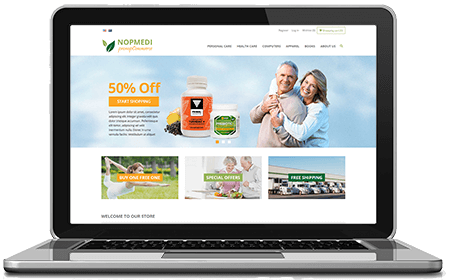 Our beautiful nopCommerce themes help you setup your online store with ease, empowering you with the ability to rapidly create your e-commerce store and run it with confidence. We want you to focus on the selling, so we created our templates following industry best practices. 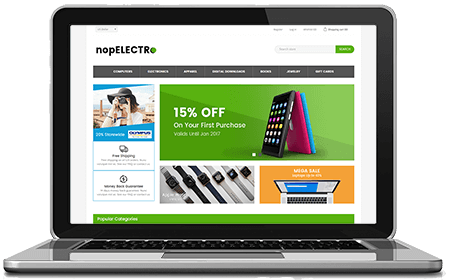 Need feature-rich responsive nopCommerce themes that install within minutes and work across desktops, tablets and mobile devices? Want to focus on running your business with the solid support of nopCommerce experts? You've come to the right place! 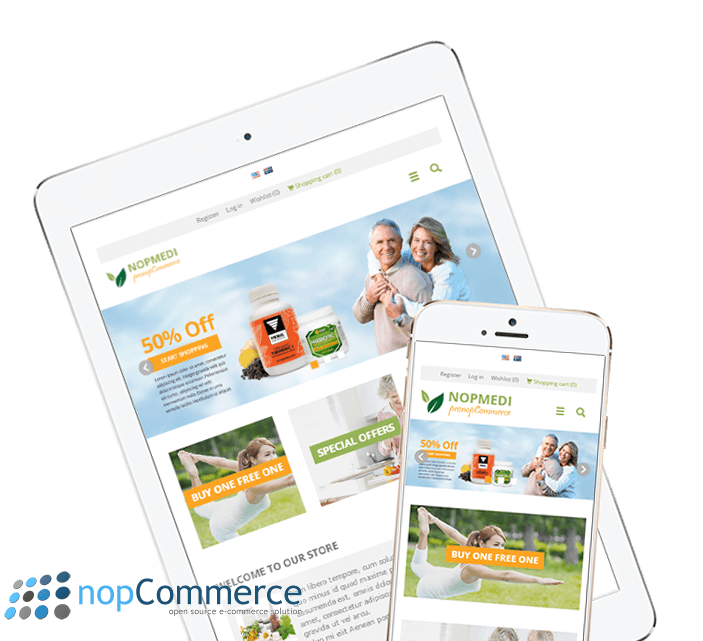 We carefully design our nopCommerce templates so that you can create a beautiful store worth bragging about! All our nopCommerce themes are mobile-friendly with tons of features such as product quick-view and product image zoom. Your business is our business, we are here to back you up so that you can run your store with peace of mind! All theme purchases come with three (3) years free upgrade and one (1) year email supports from the date of purchase. The skin Nopgear is great value for money. Some knowledge of how to change the skin is required but after contacting support (who responded very quick) all became very clear. I have enjoyed working with the skin and would buy another when needed. Many thanks to those that produced NOPGEAR. 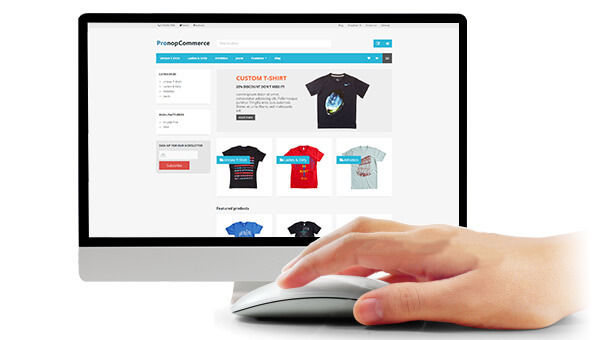 We want it easy for you to setup your store, so we make our nopCommerce themes plug-and-play. If you know how to use FTP, you know how to install our themes. There's no need for any other plugins or dependencies. Easy peasy! It was really useful setting my website without any hassle and support provided was awesome. A complete documentation is included in theme folder to help you quickly get started with the theme. Full source code (all .cshtml, .css and .js files) is included for your ease of customization. Creating your unique nopCommerce store is just a few clicks away! We bought a nice responsive theme from Pro NopCommerce that did not look quite right after installation. They gave us all their time finding out what the issue was. It turns out there was another plugin that was interfering. Now we have a nice professional looking website. Thanks! 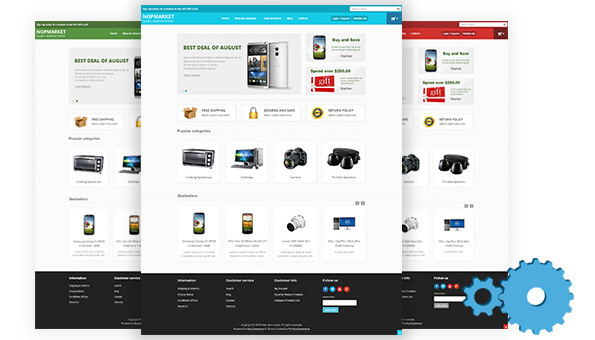 Check out our most popular nopCommerce themes & templates. We love to share our experiences developing and customizing nopCommerce. 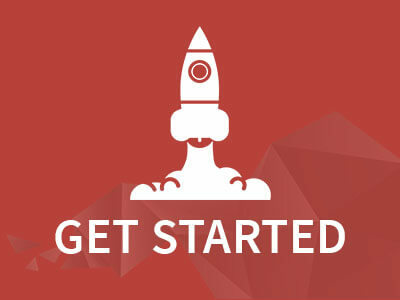 Other than beautiful themes, we also create useful plugins to power up your nopCommerce store. Not sure which nopCommerce hosting to use? 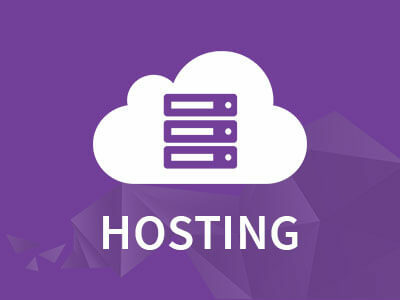 Checkout our partner myASP.Net for 60-day free trial. Just getting started with nopCommerce? Watch this video to see how you can install nopCommerce in 5 minutes.